Aizawl, May 7 : Mizoram will soon have its first flower village at Chawngtial in Champhai district. 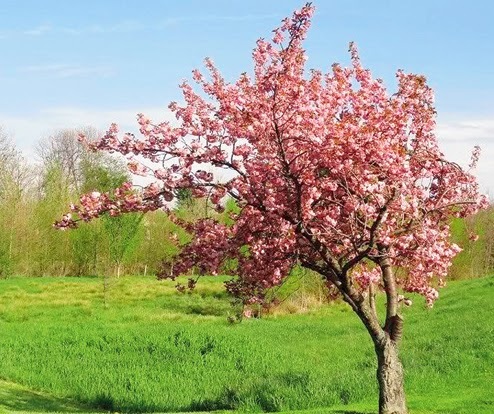 A senior official of the state's horticulture department said about 200 people, including many school students, yesterday planted around 1,000 saplings of the tlaizawng flower (Prunus puddam) in a selected ground, christened Tlaizawng park, by the hillside in the village. The park will also grow other varieties of flowers. Chawngtial, with a population of about 700, is located about 4km from Champhai town, 190km from Aizawl, the state capital, and 374km from here. Mizoram's former principal chief conservator of forests Rosiama Vanchhong said this crimson and white flower, which grows in abundance during autumn and winter, is very popular locally and is decorated in homes. It grows up to a height of about 15 to 20 feet. The state flower, however, is aiting, a typical country flower that bedecks Mizoram's forests and hillsides in winter. Sunflowers, dahlias, daisies, roses, including its Dutch variety, and anthuriums, among others, also grow aplenty in the state. Sources in the horticulture department said at least two of the state's flowers, roses and anthuriums, have already carved out a market in Dubai and Japan. At least eight lakh pieces of cut anthuriums are marketed outside the state, including overseas markets, every year along with a daily harvest of about 9,000 pieces of cut roses. The growth of flowers in Mizoram is helped by its pleasant climate during autumn and winter when the temperature varies between 15 and 23 degrees Celsius. Sources said the flower village, when it develops in a few years, would definitely attract tourists. A greater tourist footfall is expected in the state once a broad gauge link to the state is set up in April next year at its Bhairabi railhead.